-There is currently no contest at this time. Please feel free to check back or watch my Facebook or Twitter for future contest info!! Peter wants to have a costume contest this Halloween! 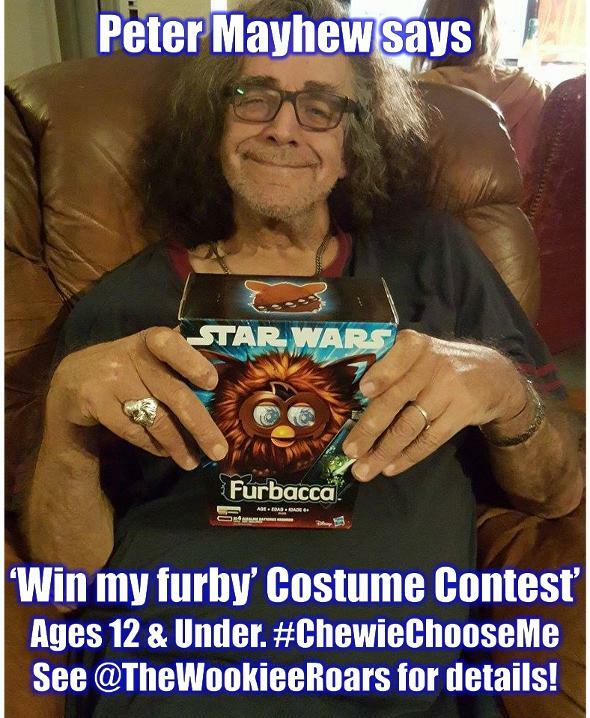 The winner will recieve Peter's own 'Furbacca' Furby, autographed by the man himself!! - Subject must be children age 12 and under. - Winner is determined at the sole discretion of Peter Mayhew and will be anounced on or around November 2nd 2015.